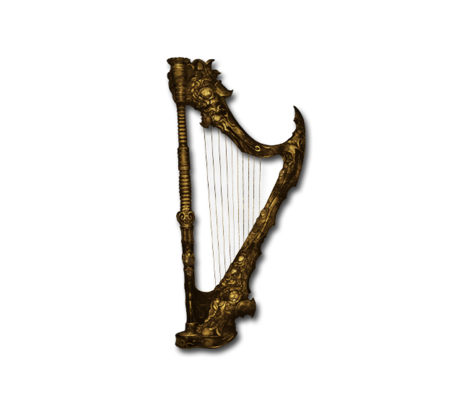 Purified in the most fertile of fields, this harp contains a blessed spirit. Its barren spirit was rejuvenated by the earth as its new form took shape. It shines with the golden glow of ripened wheat, lighting the way forward for those who grasp it. This page was last modified on 23 October 2018, at 18:14.